Freshman state Rep. J.M. 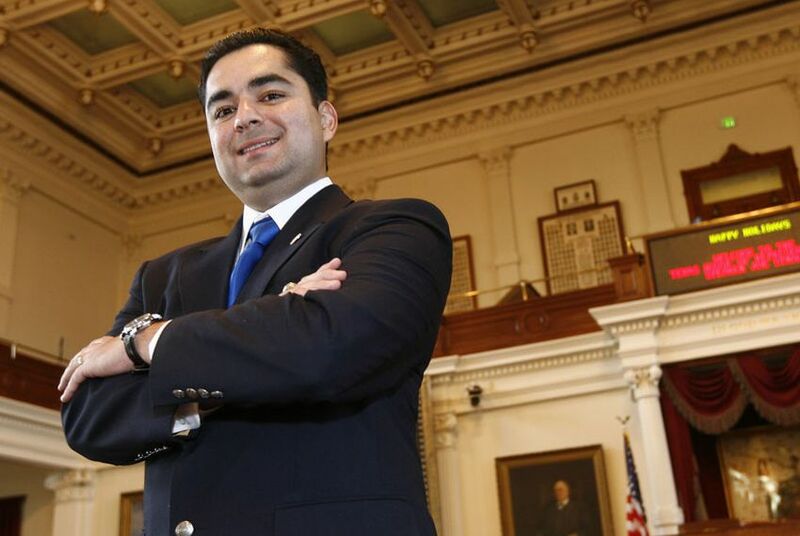 Lozano, D-Kingsville, will announce later this week he will join the Republican Party. “It’s been a long weekend,” said Lozano, who was first elected in 2010. "Basically, I was sad to lose the counties I did, but at the same time it was very fortunate to pick up Jim Wells, San Patricio and Bee counties. Lozano said he would make a public announcement this week. The fact that George P. Bush has Mexican roots resonated with Lozano, who was born in Guadalajara and became a naturalized citizen in 1986, at the age of 6. “We shared a very common characteristic and trait in our lives, both our mothers are from Mexico,” he said. Lozano also said he shares the hard-working values of his father, who came to the U.S. on a skilled-immigrant visa as a doctor. Lozano will be the third Democrat to switch parties, after Allan Ritter, R-Nederland, and Rep. Aaron Peña, R-Edinburg, switched in late 2010. Like Peña’s switch, however, Lozano’s decision is sure to cause a stir given the Latino legislator represents a portion of the Texas border traditionally known as a Democratic stronghold. HD-43 is a classic swing district. In the 2010 Republican sweep, the average statewide Republican beat the average statewide Democrat by 11.3 percentage points. Gov. Rick Perry beat his Democratic challenger Bill White 52.1 percent to 45.8 percent that year. In 2008, it was a Democratic district, with the average statewide Democrat winning by 7.1 percentage points. At the top of the ballot, however, Republican U.S. Sen. John McCain bested Democrat Barack Obama 51.5 percent to 48 percent. The district includes four counties. More than 63 percent of the adult population is Hispanic, and 35 percent is Anglo. Over the last two election cycles, the Republicans had a slight edge, but not enough of one to scare away a candidate from either party. Kenneth Flippin, Lozano’s campaign manager during his 2010 contest, said he did not think his former boss would make it to the November general election. If he did make it to November, Flippin said that though Lozano may be able to use his reputation and his influence to keep support among some Democrats, he said most Democrats would come out in force during in November. “The national dynamics make it a district where it really doesn’t matter whose name is on there,” Flippin said. Lozano responded by saying Flippin did not know his district the way he does. Despite his conservative voting record during the 82nd Legislature, Lozano cast two votes with his soon-to-be former party on volatile issues: voter ID and “sanctuary cities” legislation. He said his “sanctuary cities” vote, which would have denied state funds for local entities that prevented local law enforcement from inquiring about immigration status, was not a party-line vote for him. He said it was based on the fact that no one could prove that any so-called sanctuary cities existed. On voter ID, he said the legislation did not go far enough to increase voter turnout.